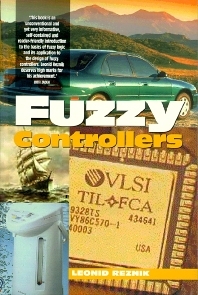 This book teaches you how to design a fuzzy controller and shares the author's experience of design and applications. It is the perfect book for you if you want to know something about fuzzy control and fuzzy controllers, but you are not a mathematician, so what you are really interested in is the design process. As an introduction it assumes no preliminary knowledge of fuzzy theory and technology, but starts at the root of a problem and works from there. TIf you have some experience in fuzzy controller design but are not sure how to choose the number of membership functions, how to shape them properly, or how to debug a fuzzy controller; if you are a beginner with fuzzy logic, and so you would like to know how to apply the theory; if you are researching fuzzy logic or if you need some help with a project at work - this book is for you! The text is designed for use both as a course companion for both teachers and students or for self-study. Leon Reznik has worked on fuzzy logic applications in a huge range of control situations including spacecraft launch control, microprocessor control, and metallurgical furnace control. Latterly he has been teaching in the Department of Electrical and Electronic Engineering at Victoria University of Technology, Australia. His work in the area has generated a substantial volume of papers in both Russian and English. Proffesional control engineers using fuzzy control; BEng/BSc or postgrad in fuzzy control or control engineering or industrial engineering; or electrical engineering or related courses. 'Bang up to date, extremely topical, with no readable rivals, this book is superb! It is by far and away the best introduction to the subject I have ever read. Dr Reznik has managed to hit the right tone between academic formality and readability to produce a book whose style flows smoothly and carries you along. Remarkably it will be suitable for general readers in industry and as a course book for undergraduates. Reznik's book will stand alone.' Andrew Parr 'This book is an unconventional ad yet very informative, self-contained and reader-friendly introduction to the basics of fuzzy logic and its application to the design of fuzzy controllers. Leonid Reznik deserves high marks for his achievement.' Lotfi Zadeh ' Thiis book teaches the reader how to design a fuzzy controller and shares the authers experience of design and applications.' 'This is an excellent attempt at myth-destroying and popularizing a sublect which over several decades has gathered its own crust of theory, impenetrable to most people. It is largely successful and can be recommended strongly as an introductory text which is a pleasure to read.' Proceedings of the Institution of Mechanical Engineers, Volume 212, Issue 14.